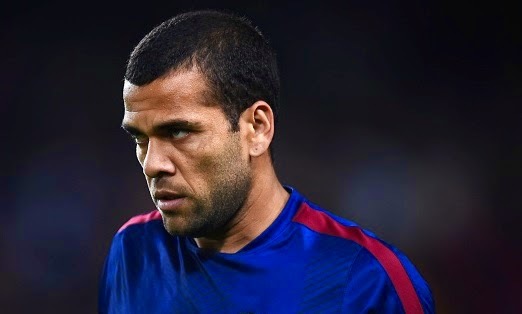 Manchester United eye Daniel Alves deal Manchester United are set to make a late offer for Barcelona right-back Daniel Alves as his agent admitted regarding his client’s future. Manchester United are set to make a late offer for Barcelona right-back Daniel Alves as his agent admitted regarding his client’s future. Spanish media AS reported that Barcelona star could be on his way out today as his agent told that his client is likely to leave Barcelona. The Red Devils have been eyeing him since the summer but a move never reached a positive conclusion. Boss Louis van Gaal has admired him in the past several times. The 31-year-old Brazilian defender will be out of contract this summer with Barca have no interest in giving him a new deal, the player is likely to move. The La Liga giants will be planning to sell him today else he will leave on a free transfer. The Catalans are already banned from the transfer market till next year despite of it they are still looking to offload Alves. His agent Dinorah Santana said that no new contract has been offered by the Catalans and several sides are keen to secure his services. Alves joined Barca from Sevilla in 2008. He has been regular player since his move, has made more than 300 appearances in all competitions.